This entry was posted in English Literature and tagged Elizabeth Taylor Angel, Virago Modern Classics by Simon Lavery. Bookmark the permalink. This sounds like enormous fun! Wonderfully written essay.. thanks Simon. Thanks, Maureen. It is a hoot, but with dark sides to it – especially in Angel’s propensity for cruelty and thoughtlessness. Mind you, she gets her comeuppance from her wayward wastrel of a husband. And her declining years are painful to witness, as her fame and fortune evaporate, she becomes out of date, and the sort of Citizen Kane monument she’s built for herself crumbles as fast as she does. But ET is incapable of writing dull prose. Yes, I had a feeling that there was a dark tinge there. Elizabeth Taylor is much too perceptive and rigorous to settle for a cartoon character. Excellent piece, Simon. 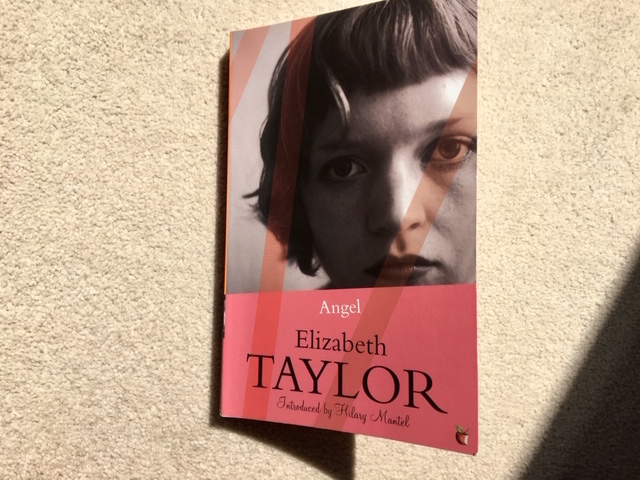 I loved this Taylor – I sort of felt she was sending up the kind of writer she really wasn’t, and it’s a marvellous book and Angel is a marvellous creation. Karen: yes, she’s clearly tapping into her Mr Hyde self here. How galling for a good, serious writer to see someone so crass make a fortune – but dear H James was secretly jealous of Edith Wharton’s royalties – she even slipped some his way without his knowing. As I think you know, she has become one of my favourite writers. I only wish I had started reading her many years ago. I’ve only skimmed your review for now as I have a copy on the shelves. It sounds somewhat different from the others I’ve read so far, more cutting perhaps. I love Elizabeth Taylor, and this is such a good book – you’ve made me want to read it again. Great piece. When Taylor satirises writers (see also Blaming), I can’t help but feel she is casting a sharp eye on her own weaknesses rather than setting up a straw tiger to poke fun at. She seems to be a writer who is very aware of human fallibility! I loved this book, such a monster she created for it. Still gives me the horrors now and I last read it a couple of years ago!